The apartment homes at Fashion Terrace boast exceptional design and expansive interiors. From cozy one-bedroom apartments to spacious two-bedroom suites, you can choose the stylish floor plan that suits your modern California lifestyle. With a variety of extraordinary in-home features available and layouts designed with you in mind, it’s never been easier to elevate your living experience. 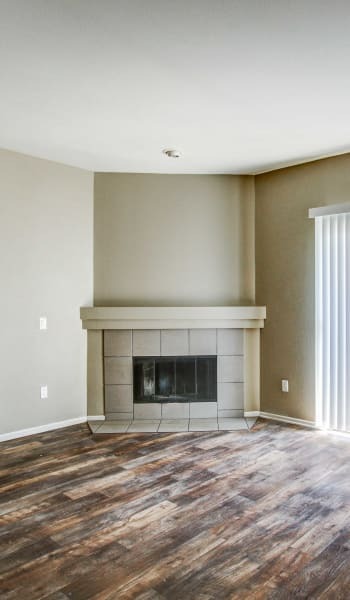 Select your ideal home from our one and two bedroom apartments for rent in San Diego, California, in the Linda Vista neighborhood. Embrace a life of incomparable style when you make your home at Fashion Terrace. Ideally situated near I-8 and the Cabrillo Freeway, Fashion Terrace is perfectly situated for students, commuters, families, and everyone in between. 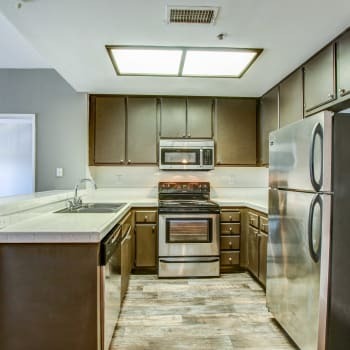 With our one and two bedroom San Diego, California, apartments for rent near Fashion Valley Mall, you will enjoy easy access to the active metro area and a welcome refuge at the end of the day. Cool off in your modern apartment home with cooling A/C. Select homes also boast ceiling fans for a crisp California breeze. Let your inner chef out in your fully equipped kitchen, furnished with modern stainless-steel appliances and a convenient dishwasher. To cut down on your chores, each home also boasts a timesaving in-home washer and dryer. For extraordinary living, make your home at Fashion Terrace. Call our professional leasing team to set up a personalized tour of our Linda Vista neighborhood, San Diego, CA, apartments for rent today.